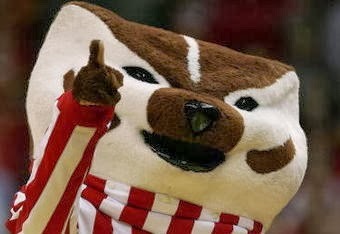 It's early in the season, but after last night Badgers basketball fans got a great idea of what the team is capable of. They took down the 11th ranked Florida Gators at the Kohl Center last night. Early in the game, it didn't look so great, but by half time, the Badgers were in control. What was the key to victory? Three point shooting, and just enough rebounding to take the edge off Florida. When you scan the stats, Wisconsin and Florida finished the evening looking pretty even in every category but one. That would be three point completion percentage. Wisconsin ended the evening with a .450 three- point shooting percentage, while Florida managed just .357. The Badgers struggled early in the game, but came back swiftly, and was in the lead at half time. It must be noted that Florida was without three key players. Damontre Harris, Dorian Finney-Smith, and Scottie Wilbekin all sat out last night's game. Catching Florida now might have helped Wisconsin with the victory. Sophomore forward Sam Dekker was hot last night. He finished the night with 16 points and a pair of rebounds. Ben Brust was a force under the hoop. He pulled down nine rebounds in the contest, and scored eleven points. His field goal shooting percentage sits at a dismal .424, but that's probably the only weakness he has right now. The Badgers ended the night with 31 rebounds, and scored 20 points in the paint. Now it's on to Green Bay for an in-state contest on November 16.